They had no money to take him to a veterinarian or euthanize him. She offered to take him to the vet for x-rays and pain medication. The vet visit resulted in a bleak diagnosis. There was trauma to Scooby’s spine, so she could only help him by giving him pain meds and bringing him food. She asked the family if she could try and find a rescue for him because she was not going to pay for him to be euthanized. Our new grantee Dharma Rescue received a plea for help from this good Samarian. After seeing the video of Scooby, they knew they had to help him and provide a better life for him. They had never arranged for a medical dog to come across the Mexico border, but thanks to a group of rescue- and animal-loving friends, they were able to get him safely to the United States. Dharma arranged for Scooby to go straight to their vet for medical attention. 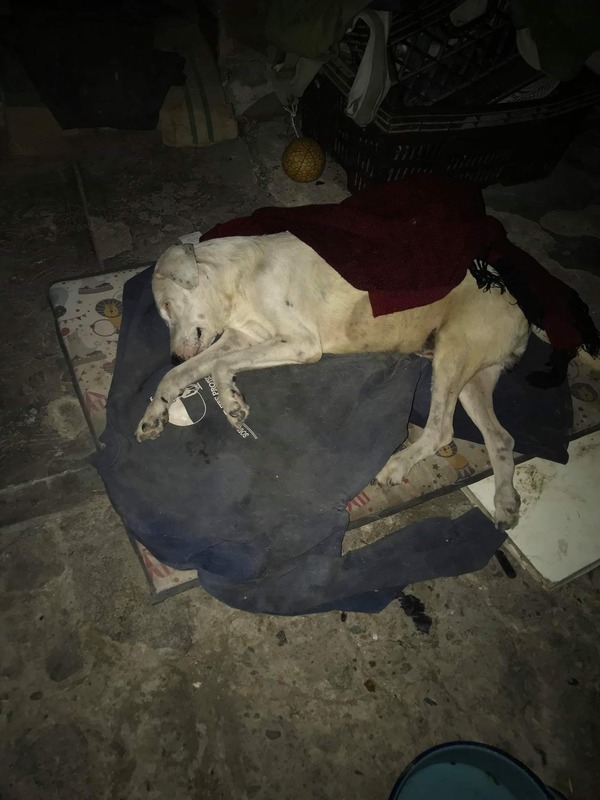 Thanks to their funding from The Grey Muzzle Organization, there were no barriers to providing him all the medical care required to stabilize him and make him comfortable. After a few days at the vet’s office, they gathered vital health information and started his journey to healing. Scooby goes to hydro therapy weekly, has cold laser therapy, and is using a wheelchair. When he first got to Dharma, he could not lift his urine-stained body and had pressure sores from laying on one side. He now has gained upper body strength and can lift and turn himself over. 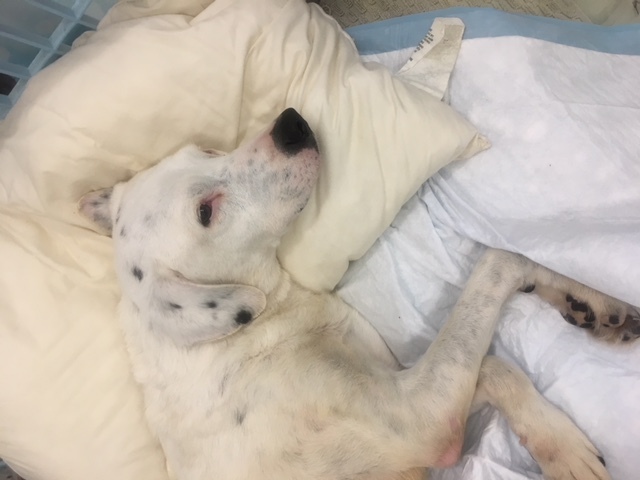 Scooby has a long way to go, but Dharma Rescue will be with him every step of the way. These are the kinds of life-saving miracles made possible by you.